E3 2018 has come and gone, and that means another INPHANTRY E3 roundup. (Check out our thoughts on E3 2017 and 2016.) While it’s easy for us to pick our favorites from the week, we wanted to explore the gaming mecca from 10,000 feet. Without further ado, take a look below at our Top 5 Trends from E3 2018. Most publisher press conferences play out like this: a C/B-list celebrity host, a cringy staged moment, a firehose of trailers and demos, and maybe a surprise announcement or two. This year, Nintendo and Playstation fans were treated to a unique changeup. While both conferences showed off the biggest titles from the gaming giants, they decided to spend more time on fewer titles, unlike Microsoft that showed off over 50 games in less than 90 minutes. Nintendo fans were treated to an in-depth look at the upcoming Super Smash Bros. Ultimate – and by in-depth, we’re talking about examining the nuances of individual characters and even changes in sound design. Playstation fans traveled along a Disney-esque experience through the publisher’s biggest titles, Zen Gardens and all. 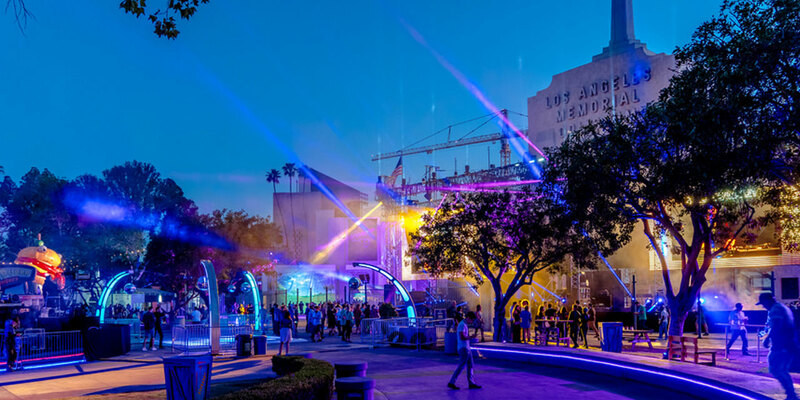 These changes to the conference status quo show that big gaming players are thinking more in terms of experiential and community focused-moments more than ever, and we’re curious to see if they spark a trend for next year’s expo. Ever since the explosion of PlayerUnknown’s Battlegrounds in the past year or so, everyone is now trying to hop on the Battle Royale bandwagon. Fortnite was lucky to find success with it’s cartoon art style and clever building mechanics, but success isn’t as clear for future competitors. Treyarch announced Call of Duty: Black Ops 4 will include a Royale mode called Blackout, and EA also announced Battlefield V will include a Royale mode. In crazier news, up-and-coming PC title Mavericks: Proving Grounds promises 1000-player Battle Royale. We’ll know in a matter of months if these AAA titles will be able to compete in the now-flooded market of multiplayer madness – but considering PUBG is by far the most played game on Steam, the Royale landscape could shift anytime. Historically E3 has been all about press and marketing for new title announcements and future releases. Yet now in the age of digital downloads and indie success, many publishers have been announcing and releasing content all in the same breath. EA announced Unravel Two, the sequel to the popular 2016 platformer, and added it’s available on all platforms the same day. Nintendo not only announced and released a new Splatoon 2 DLC Pack, but also announced and released Fortnite for Nintendo Switch. In a world where we get a surprise Beyoncé album at midnight, who knows if / when we’ll get a giant AAA title released out of nowhere. While the VR boom has made an impact at E3 the past year or two with the release of PSVR and even Microsoft teasing the Xbox One X would be primed for VR hardware, neither publisher had anything to say on the mixed reality tech this year. Ubisoft was the only publisher to shed light on a VR title, which is being developed in partnership with Elijah Wood’s production studio SpectreVision. Insomniac, the team behind the iconic Ratchet and Clank series, also unveiled a new VR title called Stormland: an open-world action shooter. This may go to show that true VR gaming has stuck with the PC hobbyist crowd, but maybe Ubisoft and Sony can change the tide. Of course the weeks leading up to E3 are always filled with a few leaks, but this year seemed to have been more of a firehose. The big Walmart Canada leak came the untimely announcement of titles including Gears 5, Rage 2, Just Cause 4, and Assassin’s Creed Odyssey, amongst others. Bethesda even acknowledged the leak during their press conference in a cheeky way of addressing the elephant in the room. This sets up an interesting dynamic between retailers and publishers as consequences for breaking NDAs could get more serious, or if this just means the public will continue to get game news from their local department stores. Do you agree with our list? Think we missed something? Let us know on Twitter @INPHANTRY. Interested in other gaming articles? Read why your favorite brands need to pay attention to eSports here.